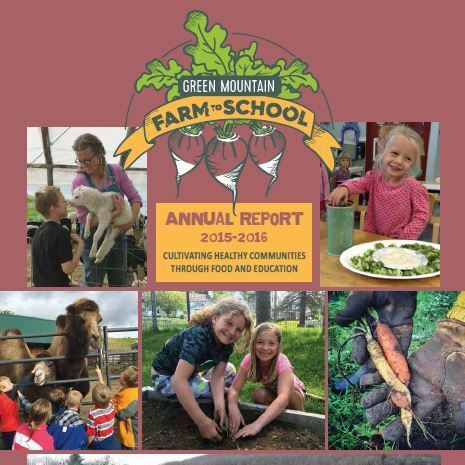 At Green Mountain Farm-to-School (GMFTS) the beginning of the school year brings with it so many things – the harvest is in full swing, the weather is beginning to change, and the organization is welcoming new and second year AmeriCorps farm-to-school coordinators. For the 2016-2017 school year, GMFTS is excited to welcome two new members and four returning AmeriCorps members of the Lyndon Economic and opportunity AmeriCorps Program (LEAP). 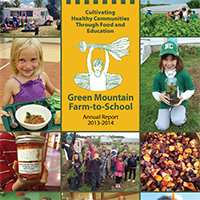 The six AmeriCorps farm-to-school coordinators will be serving in the Northeast Kingdom community – planting school gardens, teaching agriculture and nutrition education in the classroom, helping to source local food in the cafeteria, and so much more. The two new LEAP members are Carolyn Richards and Aude Girin. 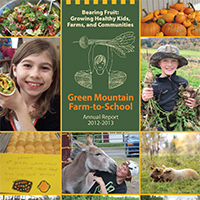 Carolyn graduated from the University of Vermont in 2016 with a bachelor’s in environmental science with a concentration in food, land, and, community. She has worked in Mumbai, India with disabled children, farmed abroad, and interned at the Intervale Food Hub in Burlington where she worked to encourage students at UVM to purchase local food and educate them about affordable local food options. Aude graduated from Pennsylvania State University in 2014 with a bachelor’s in psychology. After graduating, she served with AmeriCorps National Civilian Community Corps where she worked closely with various nonprofits on the west coast. 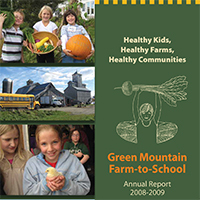 During her service term she volunteered with a farm-to-school network and several community gardens where she learned to better understand the structures of local food systems and community involvement. 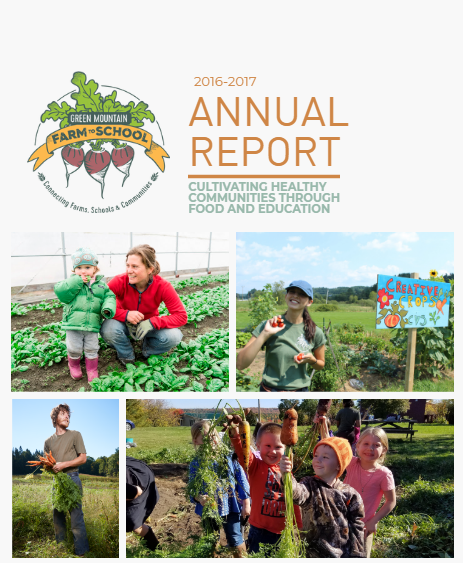 “I am looking forward to developing my skills as an educator while also learning more and teaching about local food systems and how it’s important to integrate the whole community into them,” says Aude. 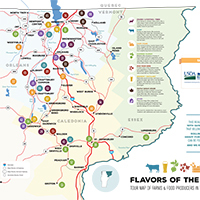 “I was drawn to the position because it was the perfect opportunity to apply what I studied in school while also helping a great Vermont community,” says Carolyn. 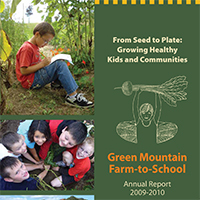 The four seasoned AmeriCorps farm-to-school coordinators returning to serve with the organization are Caroline Aubry, Herb Page, Jeyna Diallo, and Meg Steward. During their second year with LEAP they will be working to build upon the work they did last year in the community and schools. 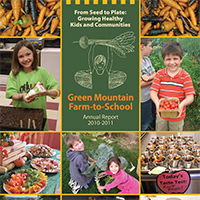 “I value and am looking forward to building on the connections I’ve made with students, school teachers and staff, and community members to strengthen farm-to-school programs in the NEK,” says Jeyna. “The community members, staff, and teachers at each school that I have been fortunate enough to work with welcomed me into their community and I am eager to see where this coming year will take all of us,” says Meg. 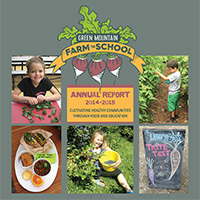 “I am very excited to be back for a second year to help get more students engaged with the gardens and I cannot wait to celebrate the school’s increasing connections with their land and community,” says Caroline. “I am looking forward to collaborating even more with teachers this year to enrich their curriculum by including more hands-on activities,” says Herb. 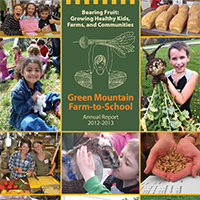 To find out more about the staff at Green Mountain Farm-to-School visit our “About GMFTS” tab on our homepage.